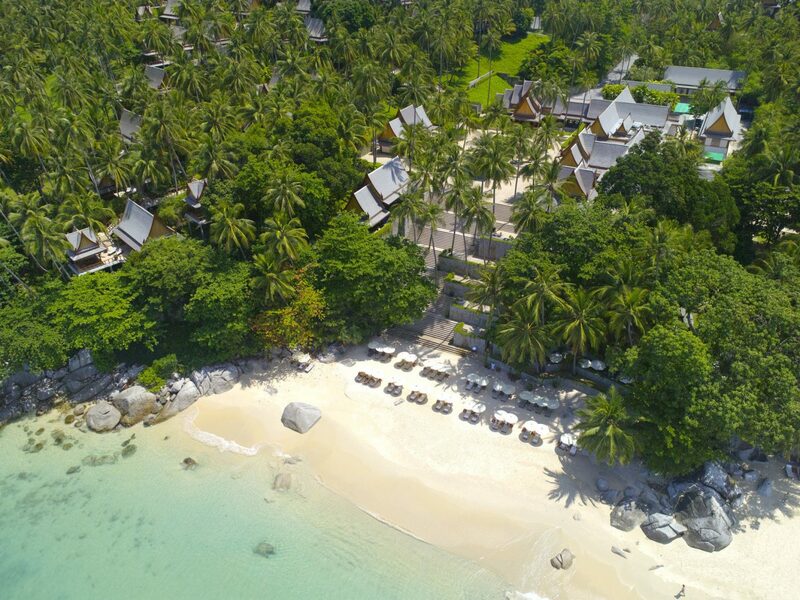 Pristine stretches of sand, lots of sun, and some of the best hotels and spas in Thailand make this island a popular choice for couples. 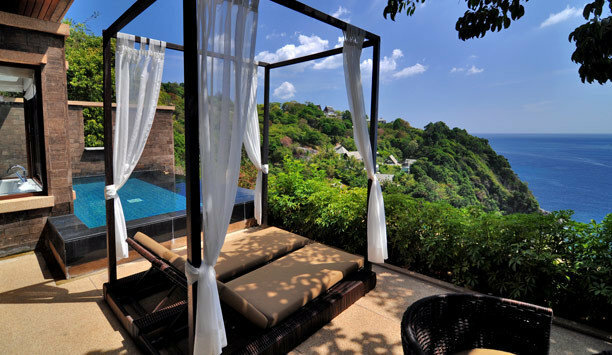 With their private plunge pools, outdoor showers, topnotch service, and exclusive access to the island’s most exciting activities, these top honeymoon hotels in Phuket deliver romance in spades. 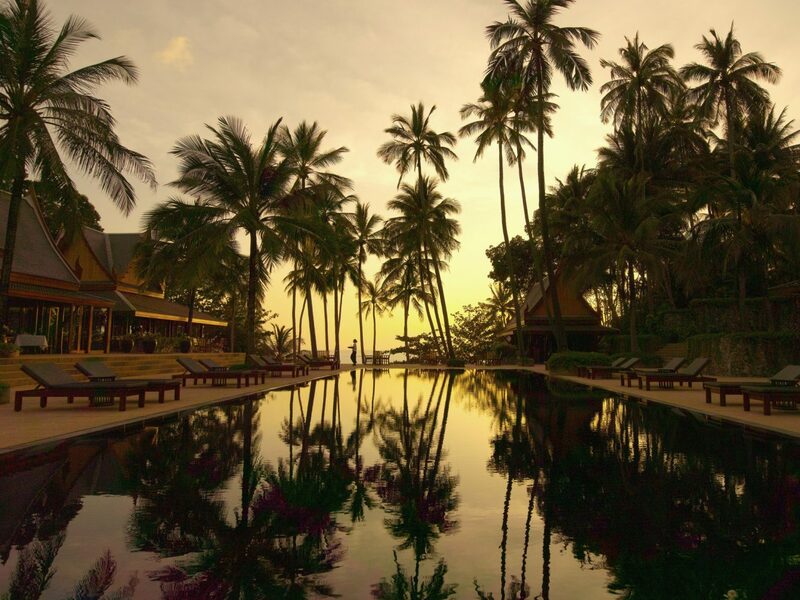 It’s name means “place of peace” in Sanskrit and Amanpuri provides just that with its secluded hillside location in the coconut palms on Phuket’s west coast. 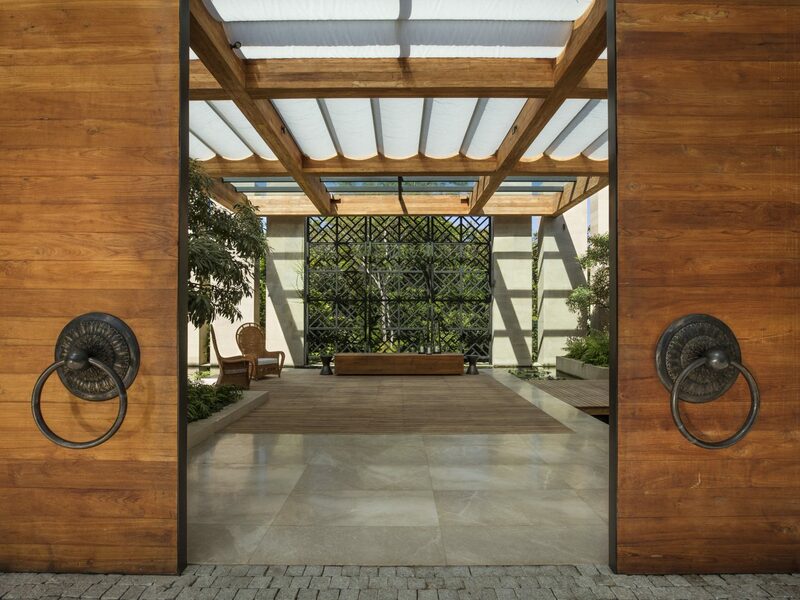 With pointed roofs inspired by the architecture of Ayutthaya, the ancient capital of Siam, guest pavilions include honeymoon-friendly amenities like private pools, secluded terraces, and views of the Andaman Sea. 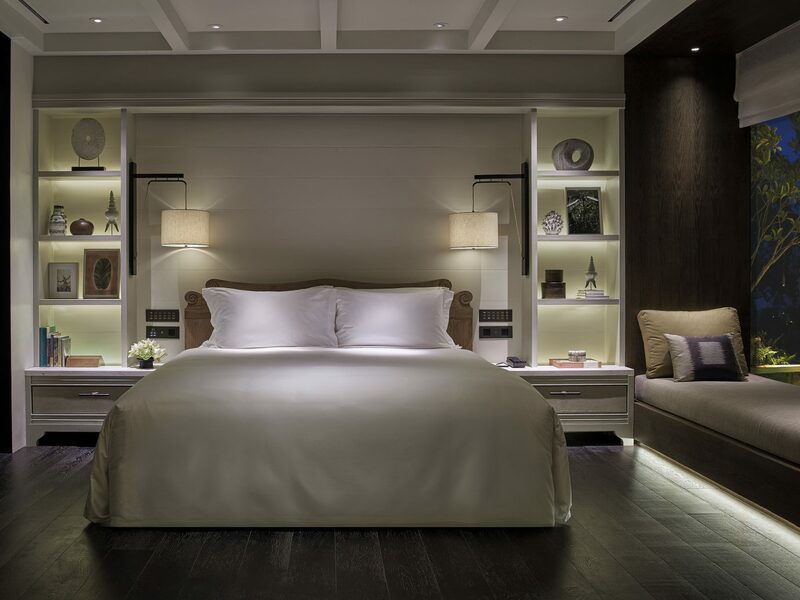 Couples can set the mood for a tranquil trip with a Royal Thai Massage at the Spa followed by an afternoon lounging on the private, white-sand beach or the infinity pool, where tea is served in the late afternoon. 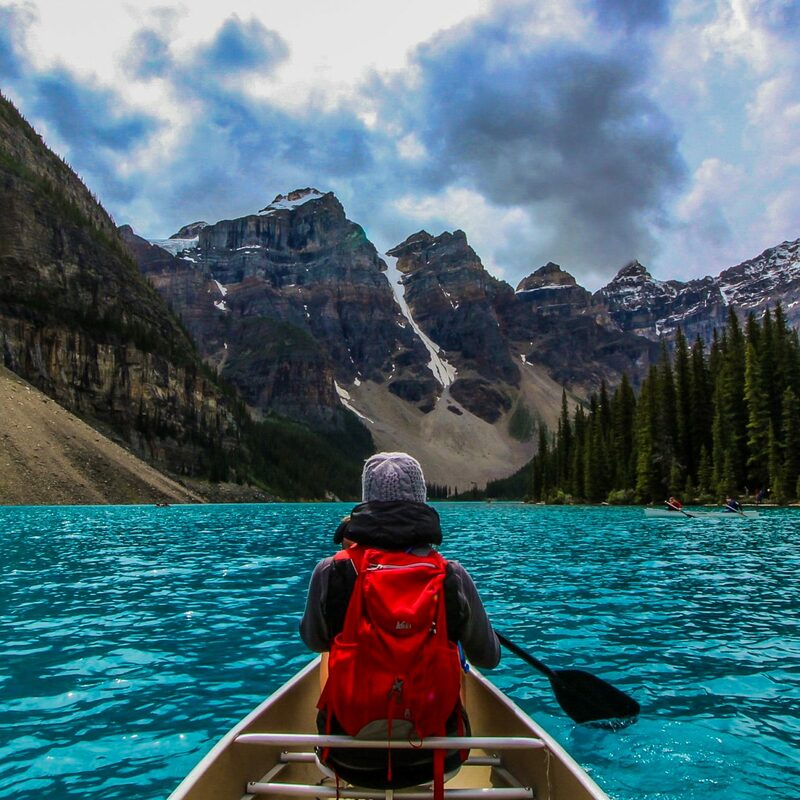 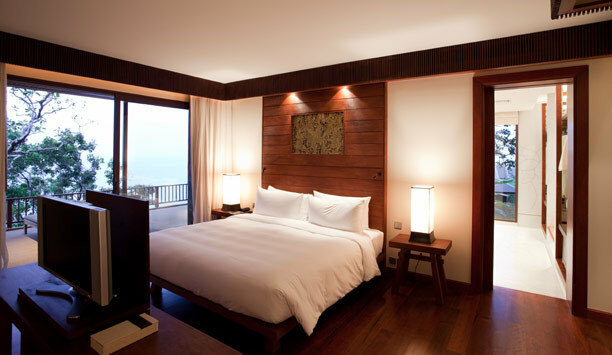 Five dining options, water sports like standup paddle boarding and kayaking, and a library stocked with 1,000 books make it easy to stay put, though world-class scuba diving, five golf-courses, and 30 Buddhist temples provide plenty of adventures across the island, too. 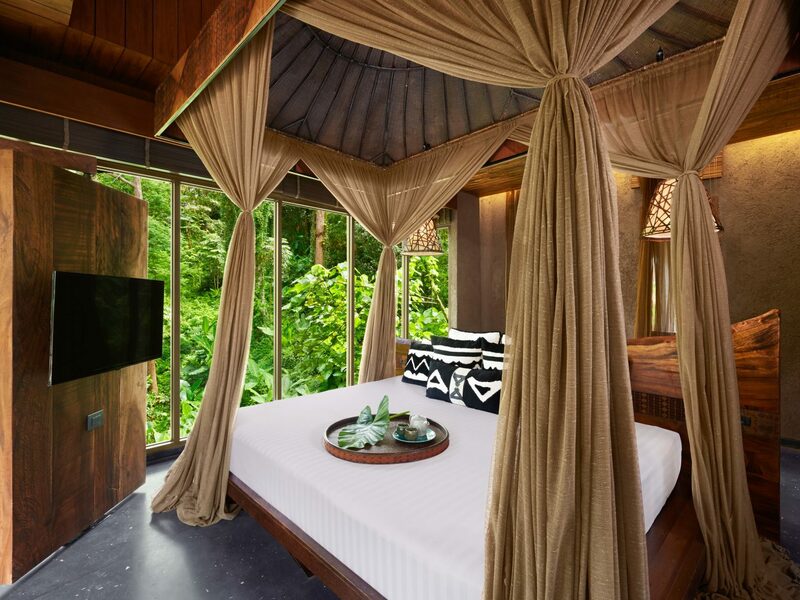 You may not want to leave the room at this five-star sleep situated in the Kamala Hills—suites include sunny balconies with four-poster loungers, outdoor showers, and private pools overlooking the Andaman. 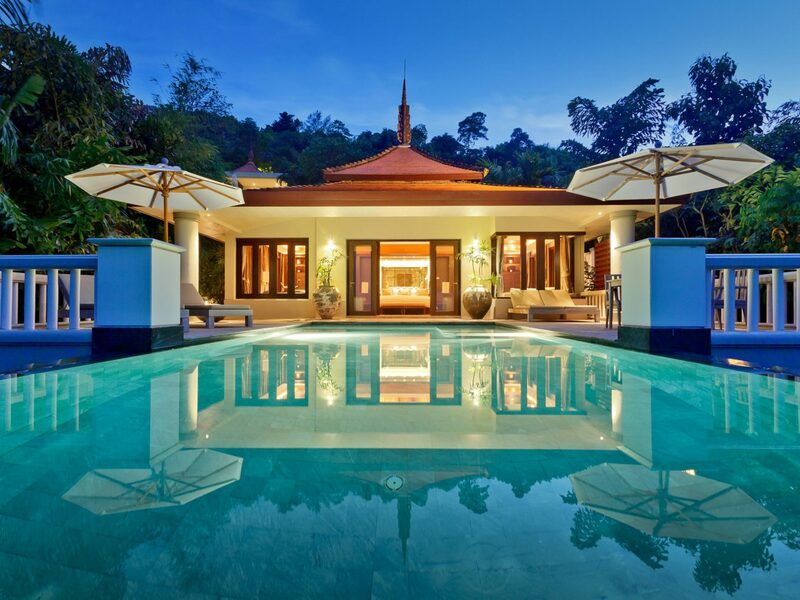 At the resort’s Recipe cooking academy you’ll learn the art of making authentic Thai cuisine, try your hand at rolling sushi, or indulge your sweet tooth during a chocolate baking class. 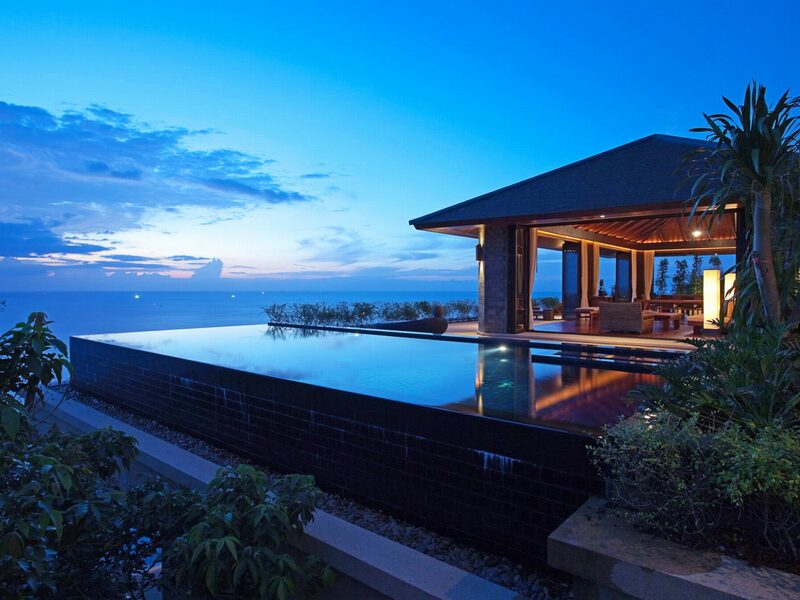 The Spa includes five double-treatment suites with balconies overlooking the water designed with couples in mind, while the resort’s three restaurants perched cliffside all have outdoor seating perfectly positioned to watch as the sun sinks into the water. 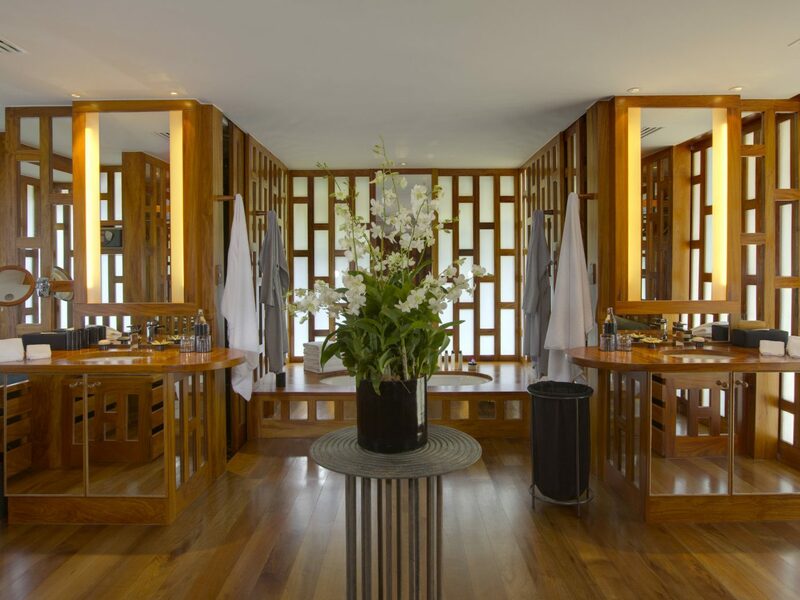 Paresa can also create a private meal for two, either on a secluded beach or on your suite’s balcony. 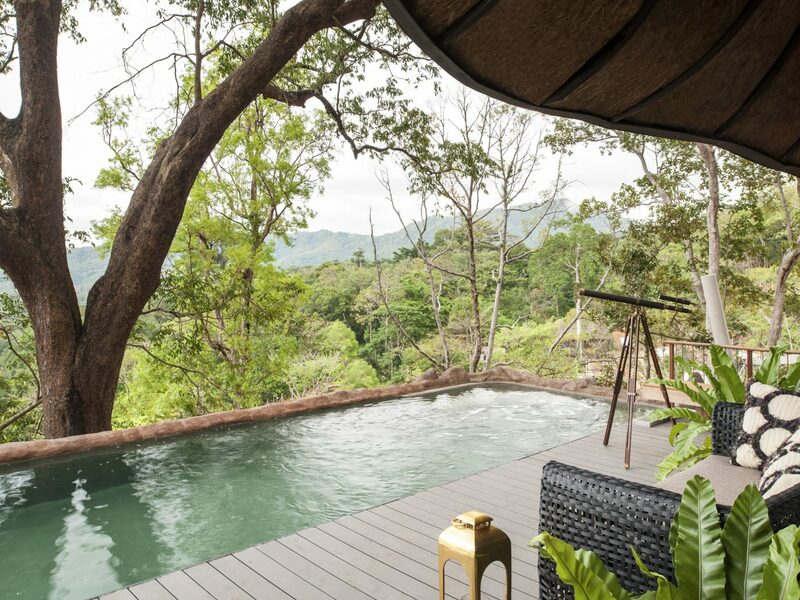 Set in the rainforest away from the beach crowds, Keemala is an ideal option for nature-loving couples—from bi-level treehouses to safari-style tents, guest rooms make the most of their lush outdoor surroundings with airy interiors, outdoor showers, and plunge pools. 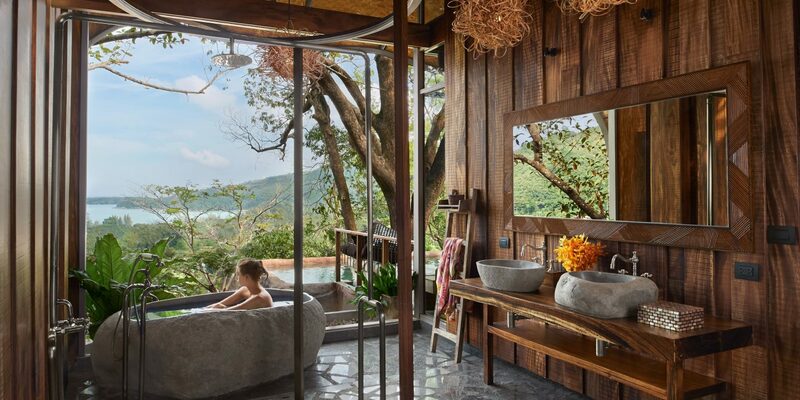 For something truly different, reserve one of Keemala’s eight Bird’s Nest Villas perched on the hillside, with private lap pools, monsoon showers, and king sized canopy beds. 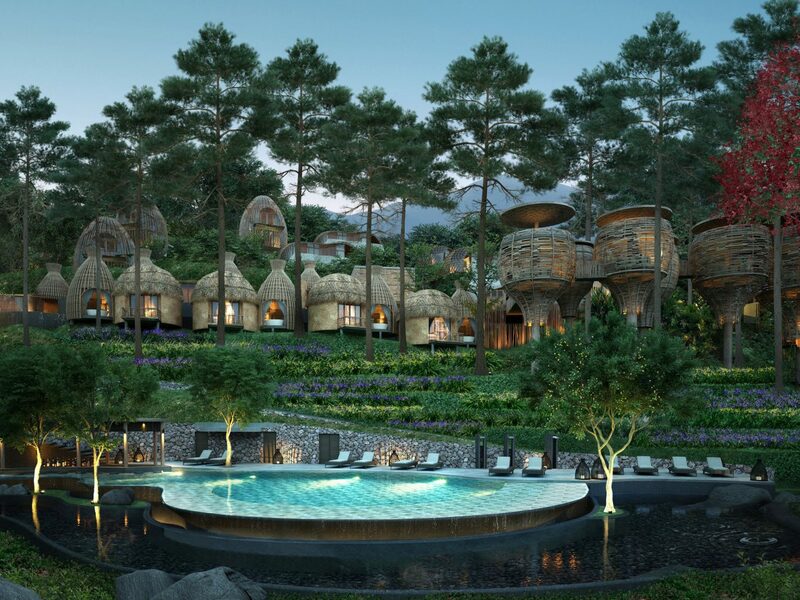 The hotel is focused on wellness, with meditation sessions, detoxifying spa treatments, and complimentary jungle treks for guests. 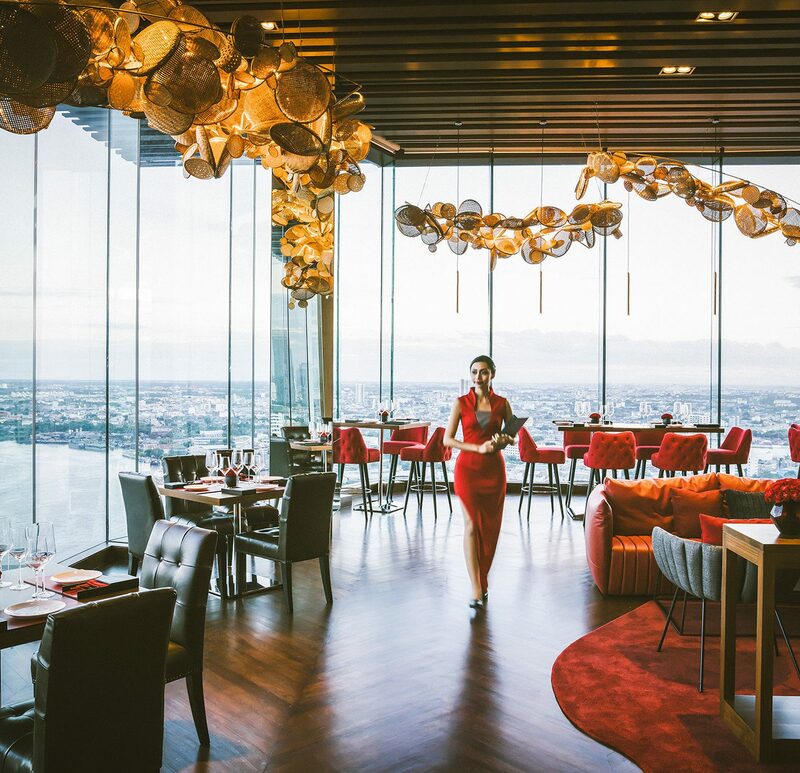 At both the main restaurant and poolside bar, diners can opt for a “Healthy Living Cuisine” menu of raw, macrobiotic, and slow cooked options, and guests can also hone their cooking skills at the hotel’s culinary academy. 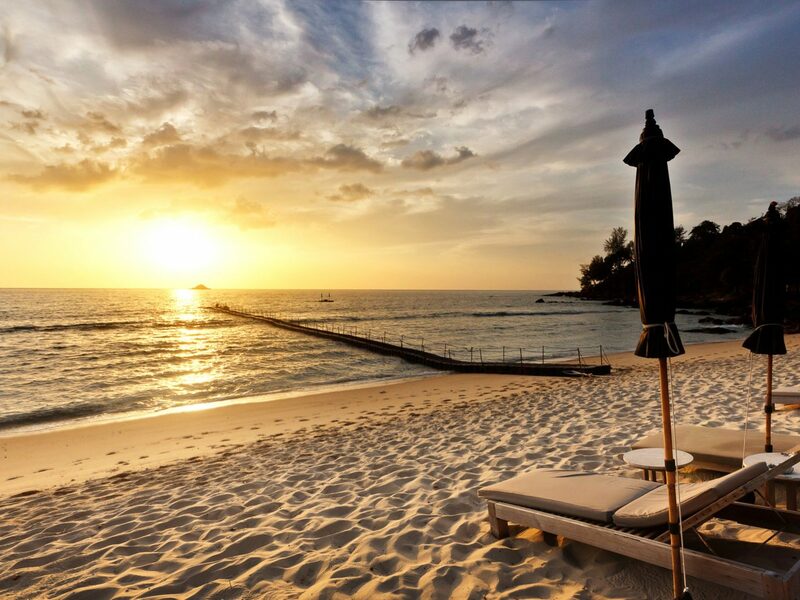 And, to be sure visitors get time on the sand, too, Keemala offers a complimentary shuttle to and from Kamala Beach. 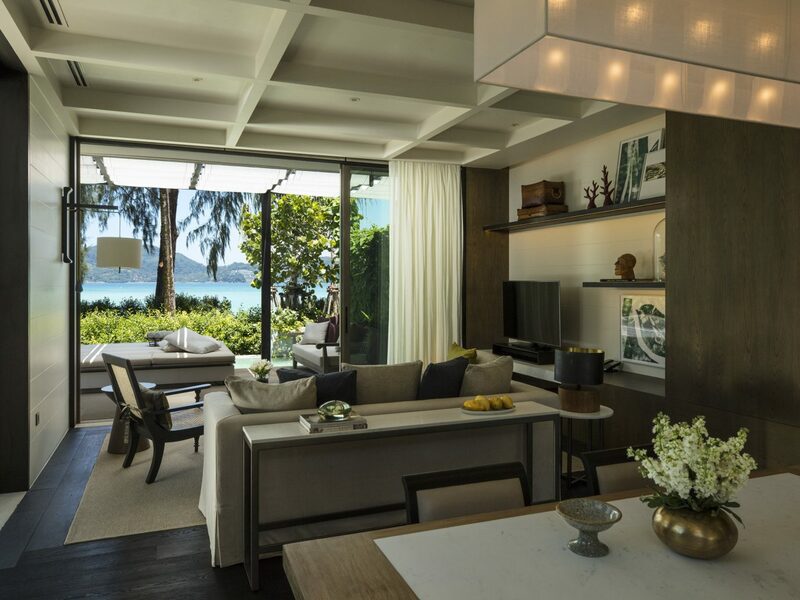 Located along Emerald Bay on the island’s southwest coast, the 71 pavilions and villas at Rosewood Phuket take inspiration from the verdant tropical landscape with details like bathrooms with outdoor soaking tubs, retractable floor-to-ceiling windows, and sea-facing terraces with daybeds and private infinity pools. 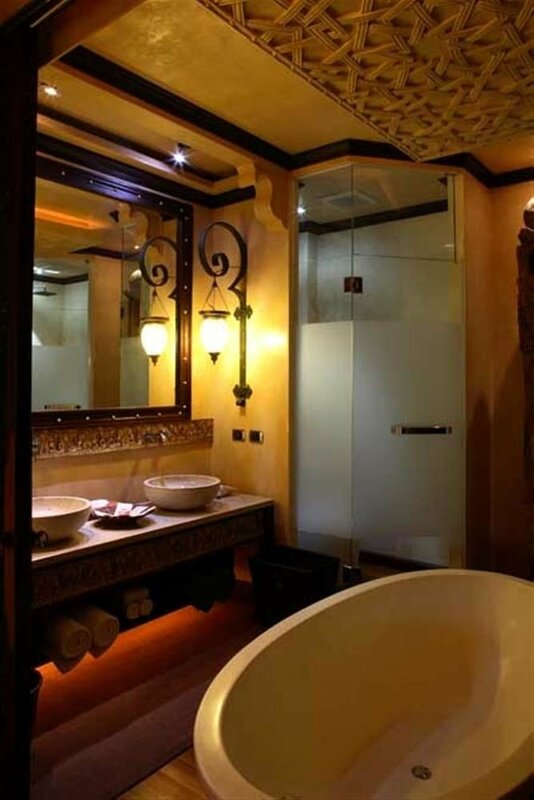 Honeymooners will also find four dining options with a range of cuisine, a long stretch of sandy, secluded beach, and a spa that uses herbs grown right on the grounds in its treatments. 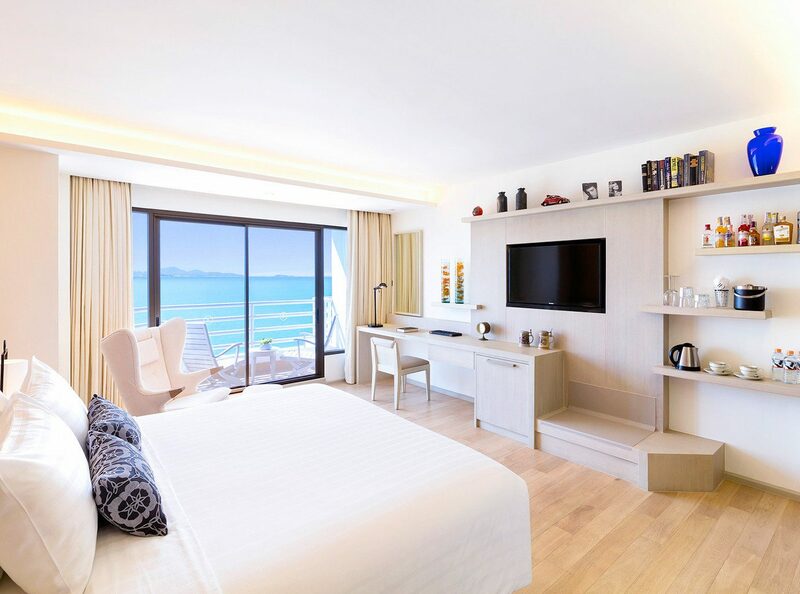 The hotel can also arrange a private sail along Phuket’s coastline, a hike to waterfalls in Si Phang Nga National Park, and a visit to historic Phuket old town to stroll the colonial-style mansions, shop local boutiques, and take in the local shrines and temples. 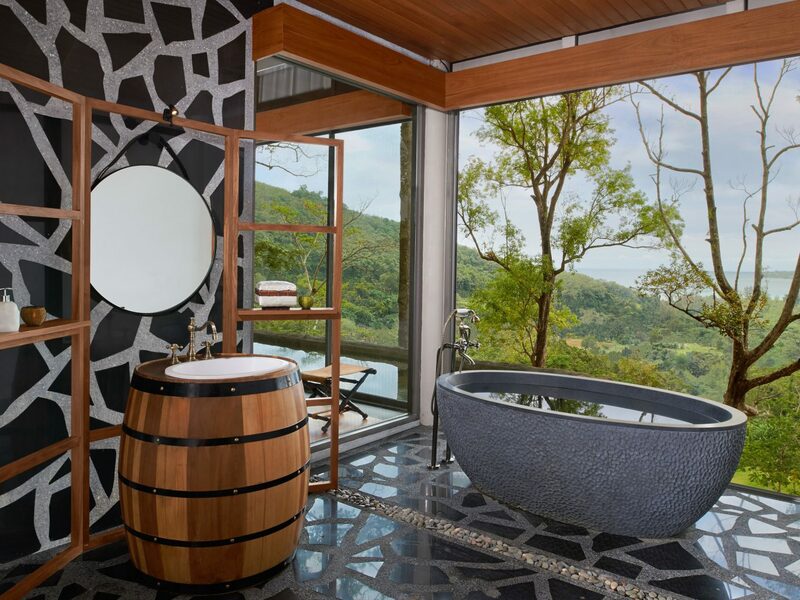 Private plunge pools, spa tubs, and ocean views come standard in the villas at this getaway on a secluded cove along the island’s northwest coast. 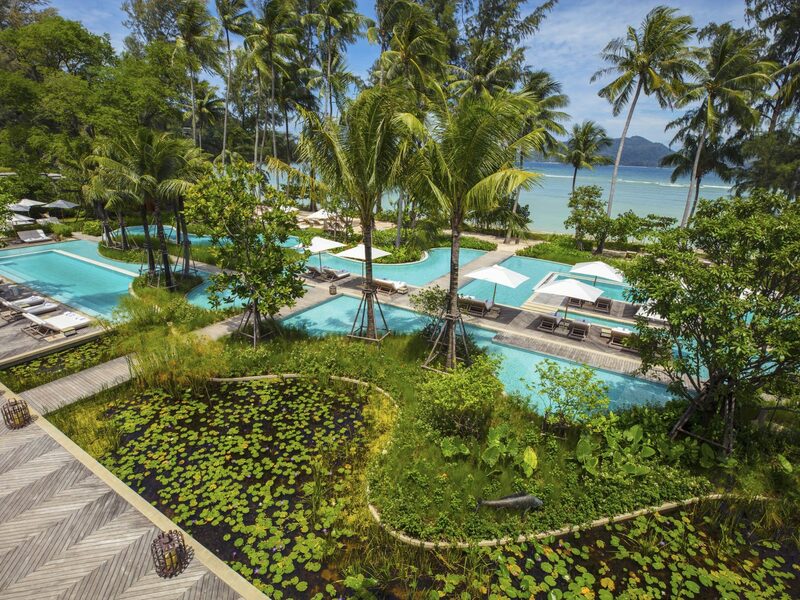 During a visit, guests can swim laps in the salt-water pool that stretches along the coconut-palmed lined beach, take a private Muay Thai Boxing lesson, or go for a snorkel at Koh Wego, a rock formation surrounded by a coral reef, right off of the hotel’s beach. 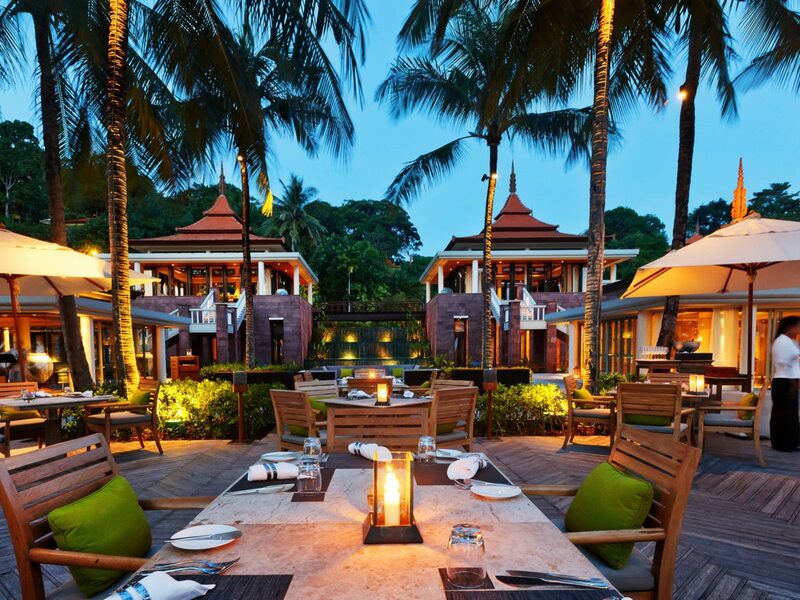 In the evening, Seafood at Trisara serves Thai cuisine inspired by traditional recipes while Pru restaurant offers farm-to-table, multi-course menus. 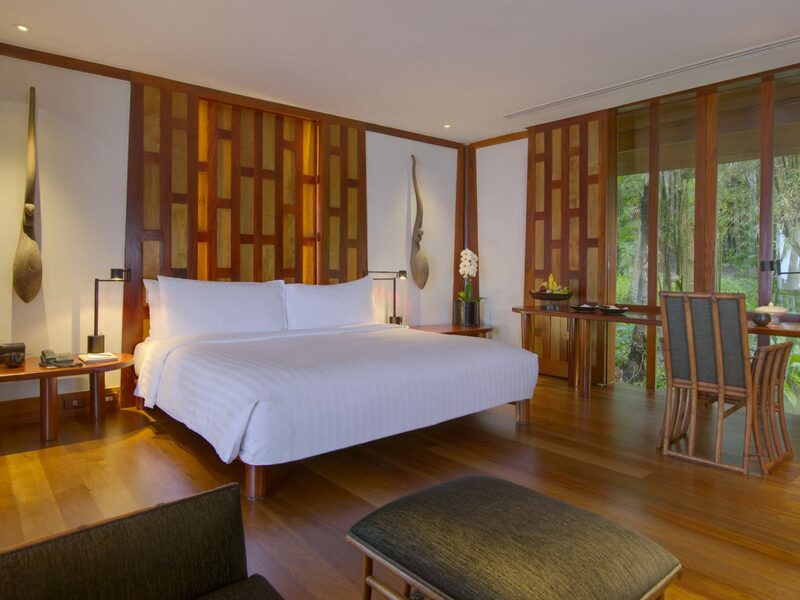 Or opt for a personal chef to prepare a private barbecue for two on your room’s pool deck.